AT&T (American Telephone And Telegraph) is a US-based multinational conglomerate holding company with the headquarters located in Dallas, Texas. 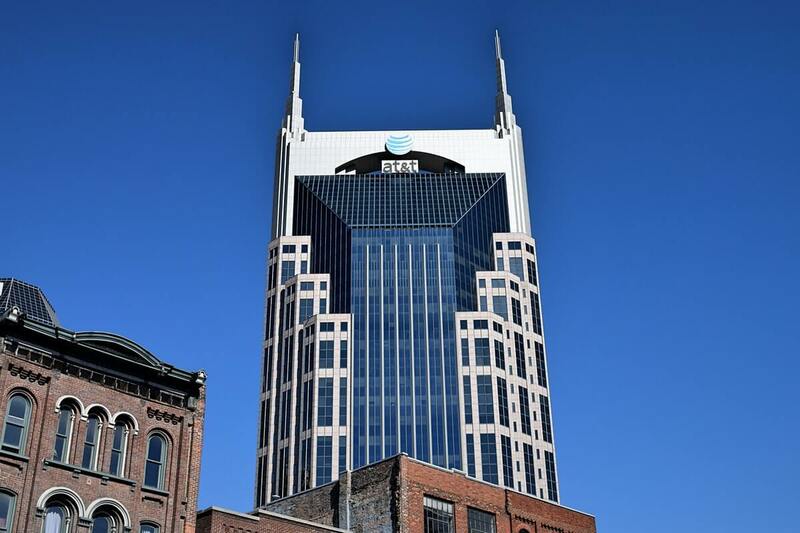 AT&T is recognised as the largest telecommunications company in the world. In the US, it has positioned itself as the largest landline service provider and the second largest mobile phone service provider. But from a couple of years, AT&T has been exploring new ways to better understand smart city development and quantify how data and the technology it produces can address the urban challenges. Currently, a lot is going on in AT&T atmosphere to transform the smart city planning into reality. So, let’s take a look! Citizen engagement – AT&T is developing plans to connect the city efficiently with citizens. It includes free WiFi installations at bus stations and launch of mobile apps that can provide latest updates on traffic. Infrastructure – Still in the test phase, AT&T is exploring ways to monitor roads, bridges and buildings remotely. The objective is to detect repairs and fix it before it turns out into a bigger problem. Energy And Utilities – The company is deploying technology that can overcome energy, water, waste and air challenges effectively. The company has launched the ‘AT&T 2025 goal’ that focuses on deploying low-carbon technology – enabling carbon savings that are 10 times equivalent to the carbon footprint of their operations. Public safety – AT&T is working on developing strategies to makes cities more safe and resilient. From managing pedestrian traffic to deploying technology to detect gunfire are part of the public safety initiatives. Transportation – AT&T plans to deploy smart digital signage and smart traffic lights to augment the virtual reality and make transportation more efficient, safe and reliable. Beginning in 2016, AT&T made plans to provide some of the most innovative IoT solutions to the city of Dallas. In collaboration with DIA (Dallas Innovation Alliance) and other tech leaders in the public and private sector AT&T launched the ‘DIA Smart Cities Living Lab.’ AT&T used its smart city framework to address some of the significant challenges through a holistic approach. Dallas is now among the first US cities that have an active living lab that represents the smart cities technology. The living lab is seen as a potential way to analyse, measure and evaluate the impact of smart city technologies in the society and the environment. The living lab project was divided into two phases with first phase accomplished. 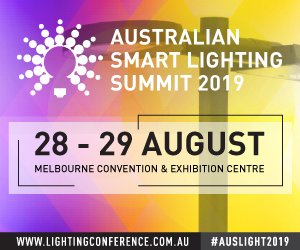 Smart LED Lighting – Installation of smart LEDs curbs carbon emissions. Hence, AT&T transformed all the streetlights in the living lab into LEDs. The project was accomplished collaboratively with GE that provided the current for more energy efficient LEDs. Along with being energy efficient, the LED lights are smart enough to control remote adjustments and outage tracking. Interactive Digital WayPoint – Another potential solution added to the newly developed living lab is interactive digital WayPoint kiosk. The kiosk has been supplied by CIVIQ Smartscapes. The technology promotes citizen engagement and easy access to city services. The interactive public WayPoint is featured with an integrated software and a secured virtual private network. The strong point of this connected platform is that it enables citizens and visitors to move around the city with access to exact route information. Be it events, shopping centres or other points of interest, people can get to the destination straightaway without wasting a minute. Additionally, the kiosk also enables people to have latest updates on public transit options, schedules, routes helping them explore the city efficiently. Moreover, the WayPoint kiosk offers USB charging ports and access to city’s non-emergency services. The platform is an amazing example of a people-centred technology. After the successful implementation of phase 1, AT&T and DIA are working on phase 2. The phase 2 will showcase the AT&T and other organisations effort in adding further deployments to the living lab and making the existing tech-provisions more effective. Dallas, where the living lab has been established, is a part of the Smart Cities ‘spotlight cities’ initiative. Another city that is part of this program is Portland. AT&T is rolling out two major smart city technologies for the city – Smart Cities Digital Infrastructure and AT&T Smart Cities Structure Monitoring. 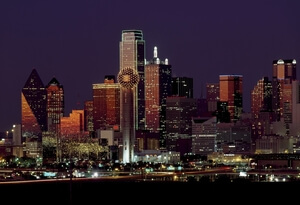 Just like in Dallas, the company will be deploying smart digital infrastructure powered by GE’s CotyIQTM. The initiative involves converting the existing lighting infrastructure into a data network integrated with sensors. The traffic lights and the streetlights will be installed with 200 smart sensors across the entire Central Eastside locality. These sensors will capture data on traffic flow and parking enabling managers and operators to make informed decisions. Each sensor’s computer vision analytics is powered by Intel IoT technologies. Furthermore, the city of Portland also aims at deploying LTE-capable sensors on buildings and other concrete structures to detect things like cracks and tilt and to measure the temperature. The sensors will operate through the technology provided by IBM and Moniteye. 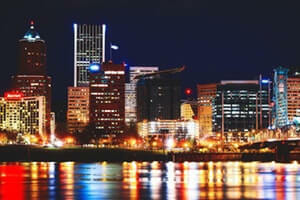 Portland is the newest member of the spotlight cities initiative. AT&T moving forward with specific technology tests in smart cities collaboratively with Cisco, Deloitte, Ericsson, GE, Intel, Qualcomm and IBM. Apart from Portland, AT&T is showcasing its smart city efforts in a few more cities such as Chicago and Atlanta. In Atlanta, AT&T is planning to install LED lighting monitors in partnership with GE and Georgia Power. According to the company, the latest initiative under progress will enhance public safety services and develop better efficiencies where even the maintenance costs will subside. In Chicago, the company has equipped some of the selected areas of the city with interactive touch-screen information kiosk. It offers free public Wifi services and USB charging points to citizens and visitors and also keeps people informed with the latest news about the city. Besides launching new technologies around the cities, AT&T is working with Cisco to incorporate Cisco’s Kinetic for Cities program to smart city ventures of AT&T. AT&T owns a Smart Cities Operations Center (SCOC) that will be integrated with the Cisco’s Kinetic for Cities program. The SCOC is a potential platform that gathers the real-time data on the live activities happening around the city. SCOC captures, analyses and processes the huge amount of data produced from distinct public departments and other significant points around the city and puts everything on a centralised dashboard that is customisable. The entire operation is executed in a timely and highly secure manner. The vivid transparency that SCOC platform offers can enable smart city leaders to make quicker, more effective and informed decisions. On the other hand, the platform provides clear insights into how smart city leaders can strategically deploy resources while curtailing costs and response time. There are a plethora of other smart city stories waiting to inspire others. Wait until we come up with some more smart city initiatives up for stimulation.